Metals junior, Kingston Resources (ASX:KSN), today updated the market on its exploration activities at the Misima Gold Project in Papua New Guinea (PNG). Drilling is set to kick off in April — not long from now. 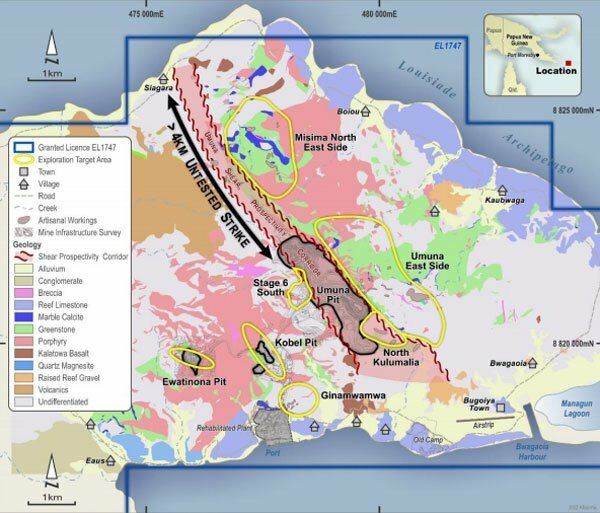 Importantly, this will mark the first gold exploration drilling at Misima since 2001 — a salient opportunity for KSN, given the world-class nature of the asset. Preparations are currently underway to mobilise a diamond rig and associated equipment to Misima. The programme will begin with one rig, with flexibility to add a second later on in the year if needed. On the island, activity has continued to accelerate. 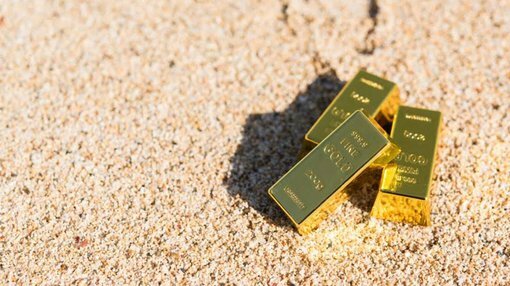 Ongoing mapping and channel sampling has successfully identified a new high-grade exploration target between Quart Mountain and Umuna, with a best channel sample of 14 metres at 12.24 grams per tonne of gold and 35.5 grams per tonne of silver, and 2 metre channel samples up to 39.5 grams per tonne of gold. This area is called Ginamwamwa, named after the closest village. Encouragingly, these results confirm the presence of very high-grade, structurally controlled gold mineralisation at Misima. This also suggests strong potential to expand the current JORC Resource, which sits at 2.8 million ounces of gold. An independent, highly experienced structural geologist was engaged to spend four weeks onsite to conduct a structural review. This work has helped refine initial drill targets at the Umuna and Umuna East prospects, while also elevating the priority of Misima North as an exploration target. In readiness for drilling, field work has also begun, including re-establishing the logistics chain and shipping of field consumables. Furthermore, community engagement has been ongoing ahead of the drilling programme, with landowners consistently supportive of the project. An airborne LiDAR (Light Detection and Ranging) high-resolution elevation survey of the project is expected to be completed during May. LiDAR has the advantage of being able to penetrate rainforest foliage, resulting in a high-resolution 3D scan of the earth’s surface.